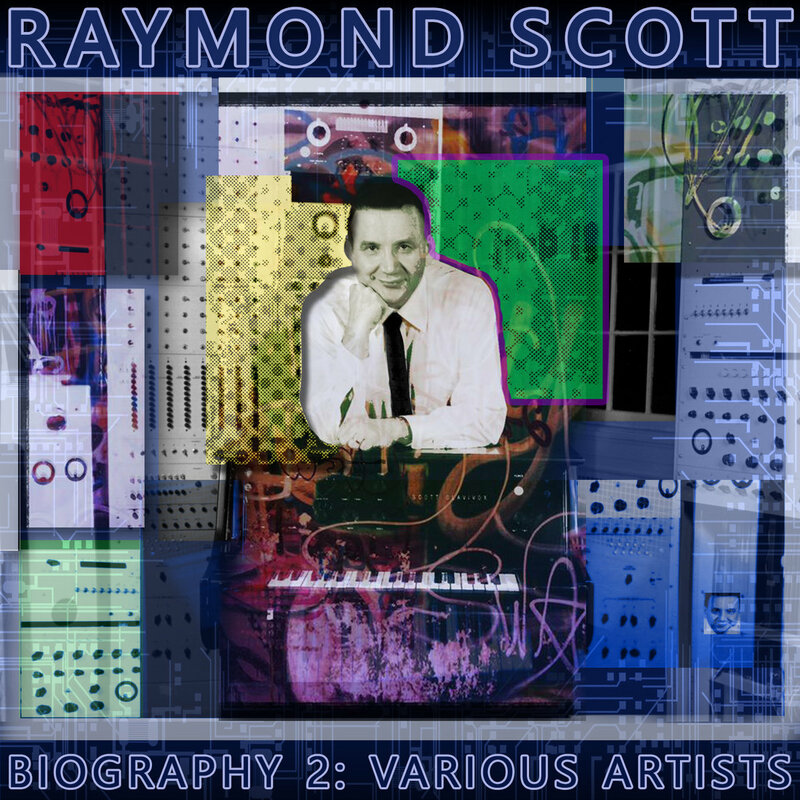 Born in 1908, Raymond Scott is the most famous American composer, inventor, innovator and visionary people didn't know they knew. 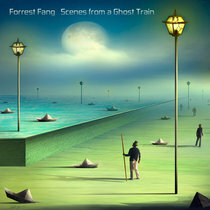 From his near ubiquitous cartoon music, to his electronic instruments before their time. It took 50 years for the world to catch up with his ideas that are so prevalent in popular music today. 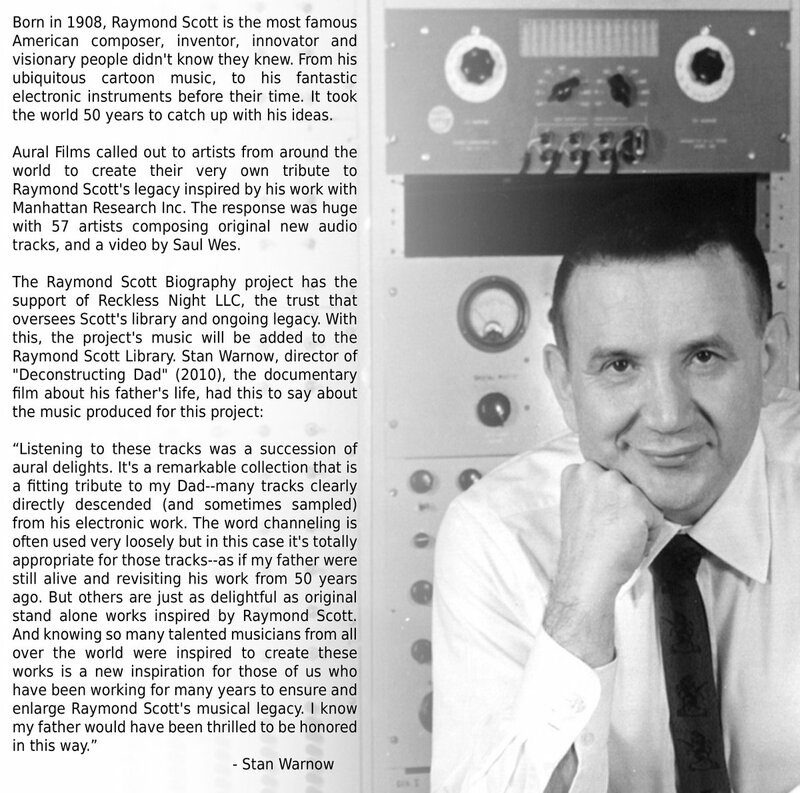 Unfortunately, Raymond Scott left us in 1994 before he had a chance to hear the future he envisioned. 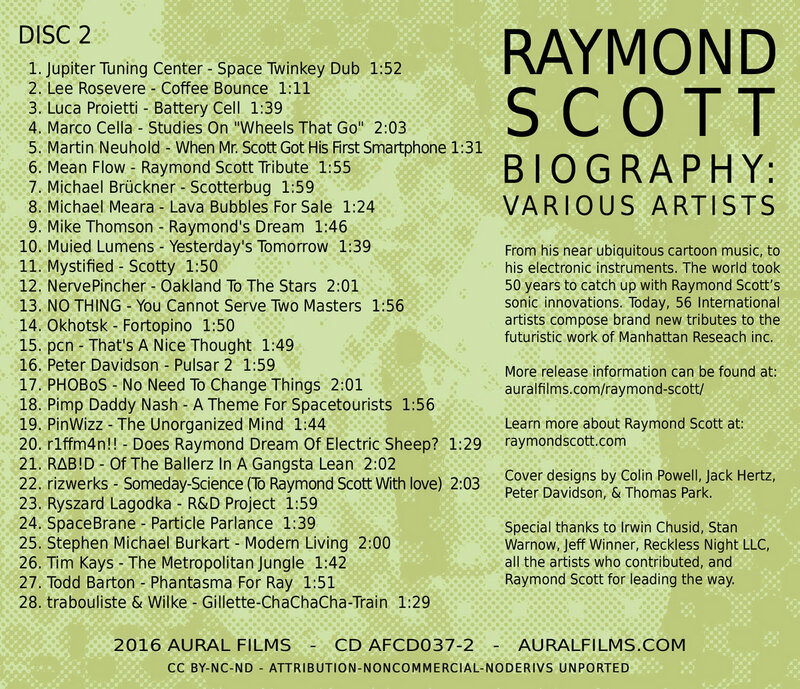 Aural Films reached out to audio and video artists from around the world to create their very own tribute to Raymond Scott's legacy and the many great things that were brought to life by Manhattan Research Inc. 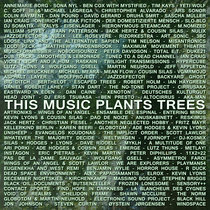 The response was hugely positive resulting in over 57 artists creating original tracks, and a video by Saul Wes, that pay tribute to Scott. 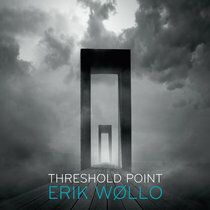 See the individual tracks for more info on each of the artists. Cover designs by Colin Powell, Jack Hertz, Peter Davidson, & Thomas Park. 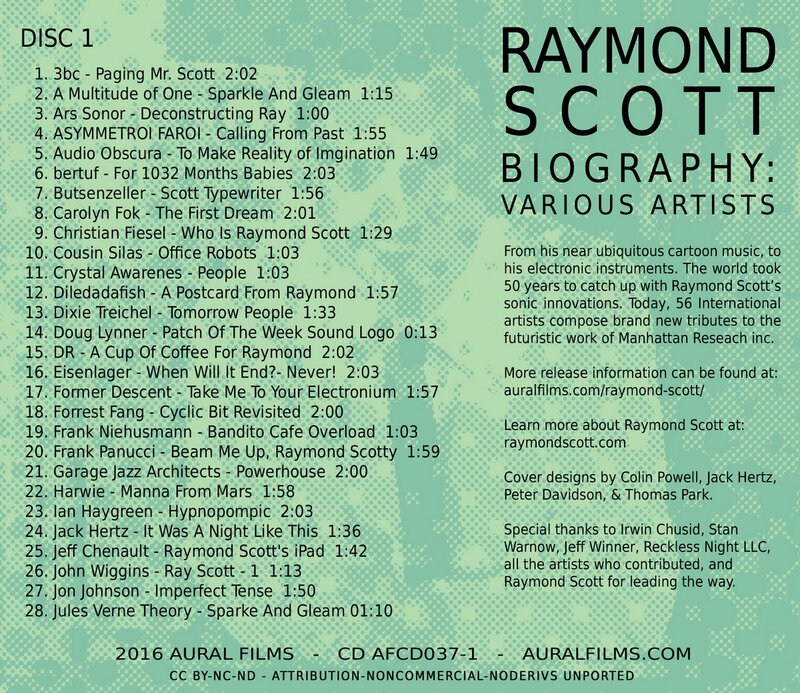 Special thanks to Irwin Chusid, Stan Warnow, Jeff Winner, Reckless Night LLC, all the artists who contributed, and Raymond Scott for leading the way. The Aural Films Biography Series represents artists by featuring retrospective collections that re-introduce the public to those who have been working for decades in music and art. Following our initial Biography release featuring artist Thomas Park, Aural Films continues with volume 2 in the Biography Series with a special tribute to the work of Raymond Scott.